ISO 17025 Environmental Chemistry Laboratory needed for water testing for quantification of 1-(2,6-dimethylphenoxy)-2-(3,4-dimethoxyphenylethylamino)propane from a water sample. Unknown # of samples. 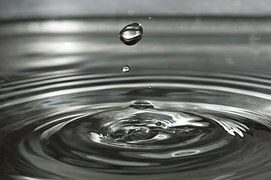 Water is likely surface/ground water or industrial waste water. No reporting limit is specified. Interested in this Industrial, Waste, and Drinking Water Request? Other industrial, waste, and drinking water laboratory services. Need Industrial, Waste, and Drinking Water Testing or Scientific Research? Save time and money searching. Simply, submit a Industrial, Waste, and Drinking Water request to find the laboratories or lab suppliers that best meet your needs.